Visit the Brazilian state of Alogas, the smallest state in the country for an action-packed riding holiday with plenty of sun, surf, beach gallops and caipirinhas. This relatively unexplored region in Northern Brazil is home to some of the most spectacular beaches in the country as well as lush jungle and picturesque colonial villages. Join this 9 day trail along the tropical coastline, on fit, native, Mangalarga horses which boasts far more than your standard beach ride. River swimming, boat trips, authentic cuisine and wild-life filled lagoons combine to make this the quintessential Brazilian experience. Transfer: Transfer from Maceió airport to hotel on Day 1 is not included. Guests can easily take a taxi or local bus. Trail from one fazenda to another in the cattle farming backcountry of Brazil. 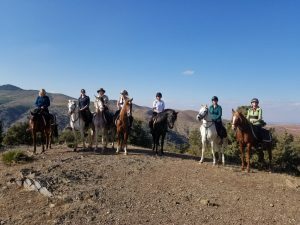 Superb riding at all paces 5.500 ft surrounded by outstanding ever-changing scenery. Transfer: Transfers included, pick up approx. 12 noon and drop off approx. 11am. Trail from one fazenda to another in the cattle farming backcountry of Brazil. 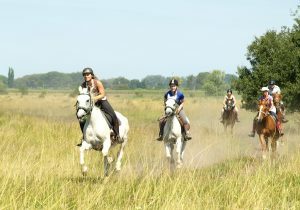 Superb riding at all paces surrounded by outstanding ever-changing scenery. Why not treat yourself to the Christmas Ride? 2019: 9 Jan; 6, 27 Feb; 21 Mar; 11 Apr; 14 Nov; 5, 19 Dec*. (*special Christmas ride, early booking required).